If you regularly visit Ibiza, you’d be hard-pressed to have never heard of the illustrious Mambo Brothers. 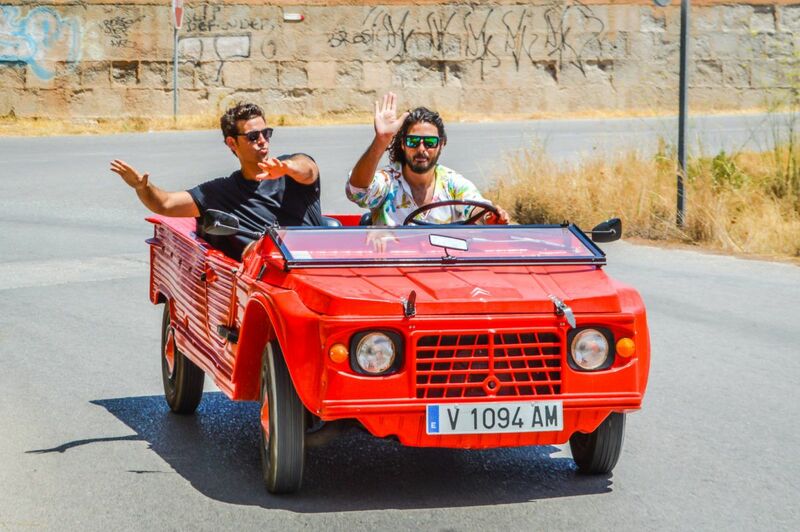 Both the proprietors of the infamous Cafe Mambo and (recently) a breakout production duo, Christian and Alan Anadon have spent their entire lives on the White Isle, having genuinely “seen it all” regarding the island’s musical evolution. We were lucky enough to catch up with them recently to discuss the continual evolution of the art of DJing, life in Ibiza, and their May 18th release with Toolroom Records. To get a little taste of what The Mambo Brothers are all about, here is a music video from their breakout hit, Momento. How long have you two been DJs in Ibiza? What was your first set of gear? We have been into DJing from a very early age. Our parents had a mixer and two belt driven decks with a speed adjustment wheel in our dining room at home when we were just nine years old. We were somehow really attracted to these pieces of equipment and would play with them all the time. It was around then that a family friend showed us the basics of beat mixing…how to count BPMs and then write it on the record sleeve, 123, 126, etc. Our young minds found it all so fascinating! 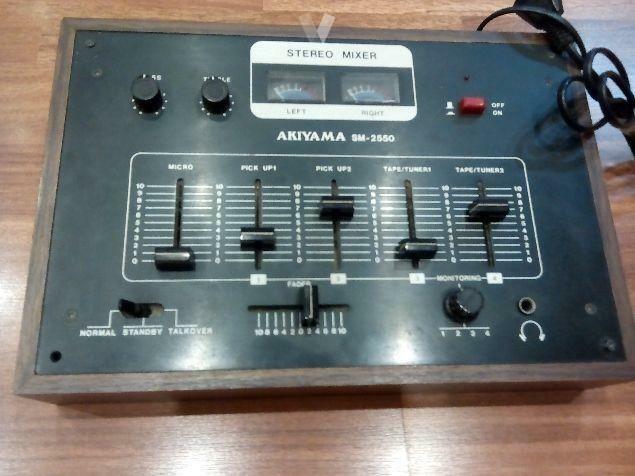 Where it all started: the Akiyama SM-2550. How has the island itself changed in the time you started to now? For years, Ibiza was an island full of personalities and unique people who didn’t fit in anywhere else. 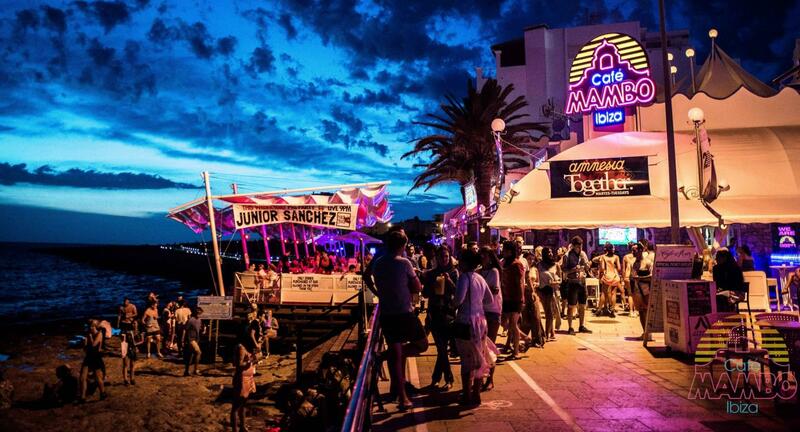 When we opened Cafe Mambo back in 1994, many of the promoters, DJs, and event organizers were still a bit like that. They were real adventurers, and everything was more raw, new and uncharted. It was a kind of dream life to come to Ibiza and just make it as a promoter all summer, it seemed anyone could do it if they were a bit of a chancer! Now a proper “industry” has developed. It’s a much more professional, competitive world with big touring schedules, marketing & PR teams, worldwide booking agents and all of that. What have been the most significant trends that you have seen in Ibiza in the past decade? There have been quite a few trends over the years. Some come and go quickly, but one thing that we’re happy about is the recent shift in interest towards Ibiza’s healthier daytime experiences. 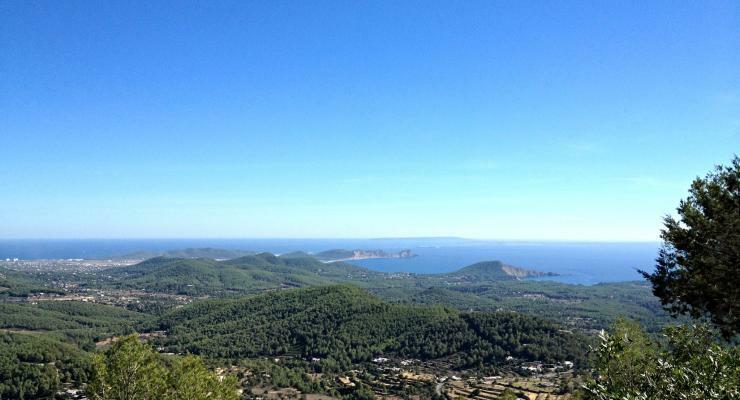 Everyone knows that Ibiza has one of the best nightlife offerings in the world which is fantastic, and we love. But, we also love all the other outdoor activities that you can enjoy here, such as hiking, cycling, diving, yoga, sailing, enjoying the many beaches and eating the fresh produce from the island. There has been more of a shift towards this stuff in the past few years, and we’re sure that there will be more growth in these sectors because once you get to know “the other Ibiza,” you are hooked! All of this, plus the combination of the world’s best nightlife makes it a total winner. How do you feel about the recent restriction that nightclubs in San Antonio now have to close at 3 AM vs 6 AM? Has this sparked a revival in more rave-like events as opposed to nightclubs? It’s a real shame that it has got to this point, but something had to change… San Antonio is a magnificent town with a fantastic future ahead. However, the city still needs to be able to introduce those younger tourists to the island. This is still an all-important market, we have to look after the next generation because they’re the next generation of spenders who we want to attract back year on year. We have seen this happen in Cafe Mambo. I don’t think we will see any moves towards illegal raves or that kind of thing as a result of the new laws…they are very strict on this already. But, it will be interesting to see how things go. Every year, there seem to be a few significant changes in Ibiza. It is always evolving. Do you feel like the role of the Producer/DJ (as opposed to the DJ alone) is now more important than it used to be in Ibiza? Yes, there has been a notable shift in popularity over the years from guys who were very good at just playing records to producers, some of whom didn’t really start out playing records at all themselves. Being able to produce your music has always been important, however, it’s an opportunity to be in many places at the same time as your music gets played not only by other DJs, but also on radio stations and other media. What is it like being behind the decks in different eras of Ibiza? Back then it was a smaller market. It was made up of highly passionate people, many with very different tastes in fashion and lifestyle, very open-minded people. These are the kind of people we met growing up, and we would think “Wow, wonder who he/she is?” It was all very artistic, bohemian and expressive. You just have to see some of the old pictures from the mid 80’s from Amnesia and KU (now Privilege). The fashion was crazy, and the dance floors were a real mix of unusual characters. The club’s decor was often very elaborate as they regularly threw themed parties. It was also the era when the “Balearic” sound was created. Back then, you could hear so many different styles of music in the same hour. Nowadays, that doesn’t happen. You would listen to New Wave, Soft Rock, Disco, Acid house, Flamenco, Dire Straits, Barry White, Mariam Makeba, Giorgio Moroder and even things like Marlyn Monroe or the Pink Panther theme! 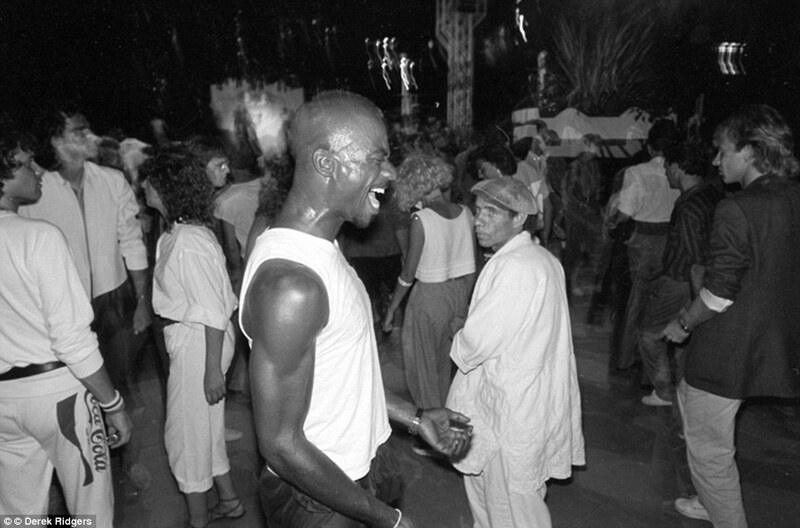 We were not yet DJing at that time, but it was the start of the explosion of what we know today as dance/club culture. Of course, back in the 70s the DJs were not even really mixing the records correctly, just playing one after the other. The art of mixing and beat matching came in gradually through the 80s, especially with the arrival of the 4/4 House Music imports coming from America. DJ Pippi was one of the first guys to do that here, at his residency in Pacha. People were going crazy hearing records being mixed together! DJing nowadays is, of course, an entirely different affair and there is so much more kit you can have in the booth with lots of flashing lights. Digital technologies have opened up a whole new world of possibilities in delivering electronic music in a nightclub setting. What is the most significant way that you have seen the art of DJing change over the years? We have seen and experienced it in many ways…from playing purely from vinyl, then moving to CDs, then as downloads came in you’d also have to spend time burning all your tracks onto a disc. All that evolved once more with the newer Pioneer CDJs where you could plug in your USB sticks or connect a laptop. All of this happened over a period of 18 years. One of the best things we’ve witnessed was seeing Roger Sanchez play vinyl! It was incredible, we remember many of the Ibiza resident DJs would come to Cafe Mambo to see what he was doing technically. Things like playing the same two records to create echos and reverbs, a third record carrying the beats, and a fourth deck for scratching. All of this was going on in sync at the same time, and the crowd just went crazy! I think we actually cried seeing this…it was so inspirational seeing what he was doing. Roger has always been pushing his kit to the limits of its possibilities. 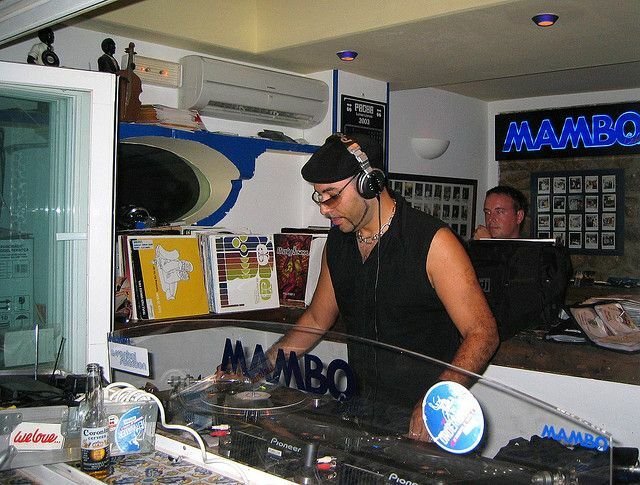 The master himself playing vinyl at Cafe Mambo. Tell us about your latest EP that you just released? We have just released “Kasai” on Saved records, a very special track we made in the Mambo studio with an African female vocal that has a great breakdown that we really love. The response from many of our friends and favorite DJs has been fantastic. We’re really pleased with it. On May 18th, our latest release, “Sundogs” drops on Toolroom Records. Big thanks to The Mambo Brothers for sitting down with us in Ibiza recently! Have you ever been to Ibiza? Share your favorite experiences in the comments.